Underneath Hotel Gästis, you’ll find the old cellar vaults dating back to the 1700s. But today, these vaults have been transformed into a copy of Lenin’s favourite spa in St Petersburg. Just like all the other areas at Hotel Gästis, this spa has had to adjust to the existing building. That’s why the Lenin Spa is housed in several different rooms and the warm, cosy feeling you get from the rest of the hotel is very much present here too. 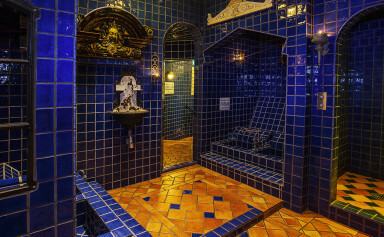 But everything else about the Lenin Spa makes this into a world of its own; an underground palace with 75,000 cobalt blue tiles. The warmth, the candles, the paintings and all the fine art creates a magical atmosphere. It is the centrally located bathing area with pool, ice bath, steam room and foot spa, that’s a copy of Vladimir Lenin’s favourite spa. Dotted around this, you will find relax rooms with refreshments, treatment rooms and everything else that one expects from a modern spa. 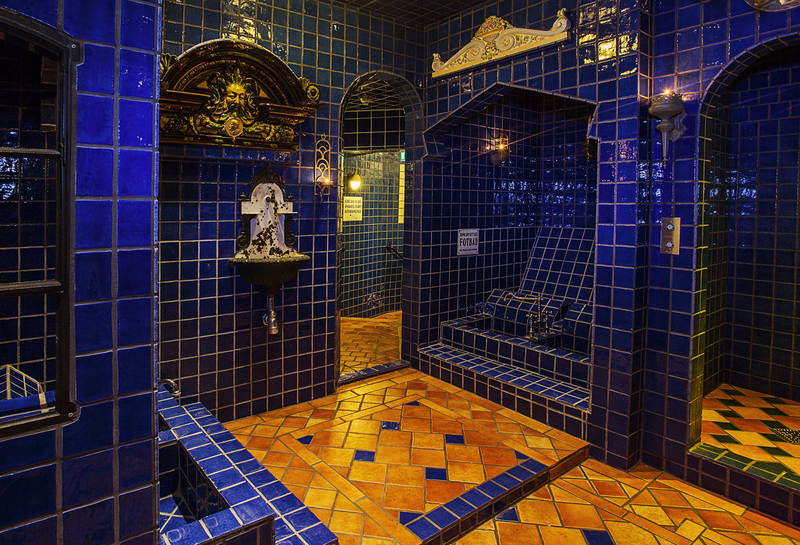 For anyone that likes beautiful, old things and curios, our Lenin Spa is like a dream come true. We mix 200 year old mirrors and art deco chandeliers with sculptures, art, Lenin busts and collections. The magnificent light from the film Gorky Park is being flaunted in the stairwell down to the spa area. The “real” Lenin Spa was a spa originally built in the basement of a private mansion in St Petersburg, at the beginning of the 19th century. The city was renamed Petrograd in 1914 and the provisional, revolutionary government that came into power through the October Revolution in 1917 decided to move here. Lenin was an avid guest and often seen on the premises up until March 1918, when the government moved to Moscow and the Kremlin. 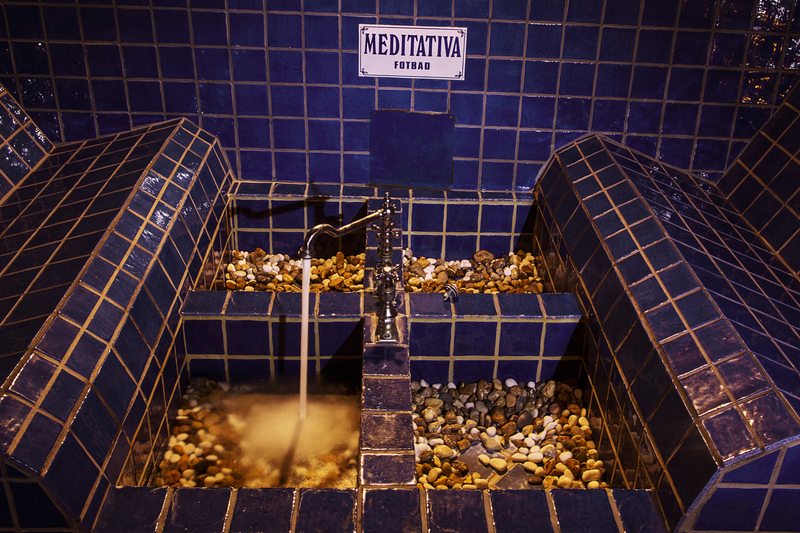 He could always be found in the same place, namely the seat furthest in and to the very left – what in our hotel is the jacuzzi, but in the original St Petersburg spa would’ve been the Russian hot tub. 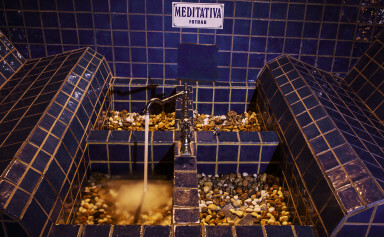 The bath was renovated in the 1950s and was then christened the Lenin Spa.